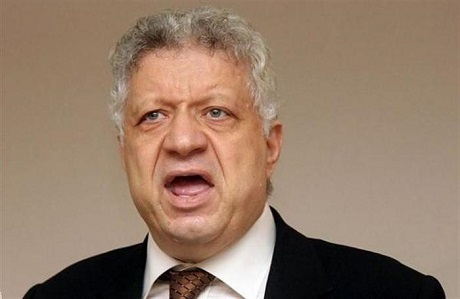 Zamalek president Mortada Mansour has called for the second leg of the CAF Champions League final to be moved to Cairo and for the Egyptian government to allow 100,000 spectators to attend. The White Knights will host Mamelodi Sundowns for the second leg of the final at the Borg El-Arab Stadium outside of Alexandria on October 23. Zamalek lost the first leg 0-3 in Tshwane and find themselves having to pull off a major comeback in order to secure their sixth continental crown. Mansour believes the White Knights would have their best chance of doing just that in their home city of Cairo. Mansour told Sada Elbalad, “I assure the [Egyptian state] President, Zamalek will win and I recommend him to attend the match. “I’d like to send a message to the Minister of Interior telling him to stand by Zamalek and to agree to hold the match at Cairo Stadium. Continuing political instability in Egypt has forced local authorities to restrict the number of spectators allowed inside stadiums, while major matches have been moved away from the hotbed of Cairo.